Stöckli POT Compost Container with filter and lid 5 lt.
<< Back Stöckli POT Compost Container with filter and lid 5 lt.
POT Compost Container with filter and lid 5 lt.
Easy to clean thanks to pronounced curves without dirt traps, attractive design, with active carbon filter. 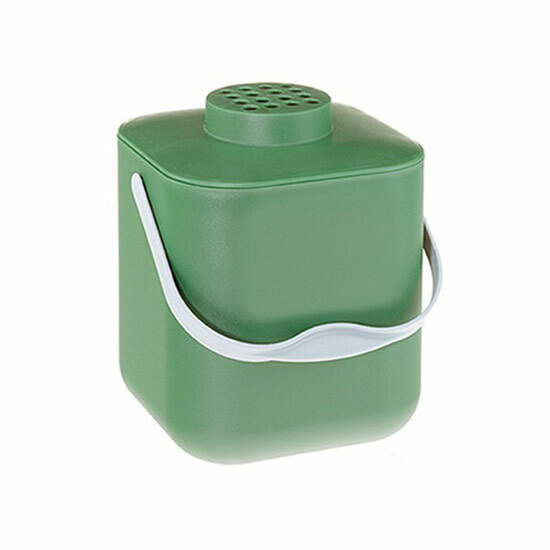 Thanks to its attractive design this compost container may be housed in the kitchen. Its distinctive rounded form, without those inaccessible corners, makes the “POT” especially easy to clean. Capacity 5 Liters, Dimensions 22 (H) x 18.5 (W) x 18.5 (L) cm.